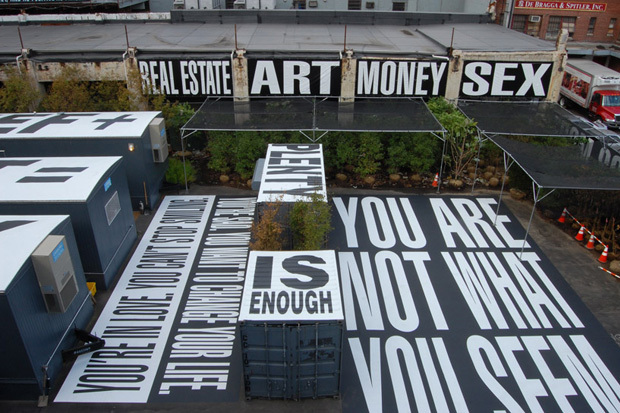 Here are some pictures of Barbara Kruger’s art work in the meatpaking district of NYC. Two reasons why I decided to post this. 2. Her work is eye-catching and bold. From these aerial shots, you can see everything, collectively. I can imagine her work to be multi-dimensional. On the ground view, It’s completely different.